To quote another great cable crime drama: have you heard the good news? Gustavo Fring, a.k.a. Gus Fring, a.k.a. the Chicken Man, a.k.a. the soft-spoken and utterly cold-blooded kingpin who served as Walter White’s nemesis across the central seasons of the smash-hit series Breaking Bad (a.k.a. 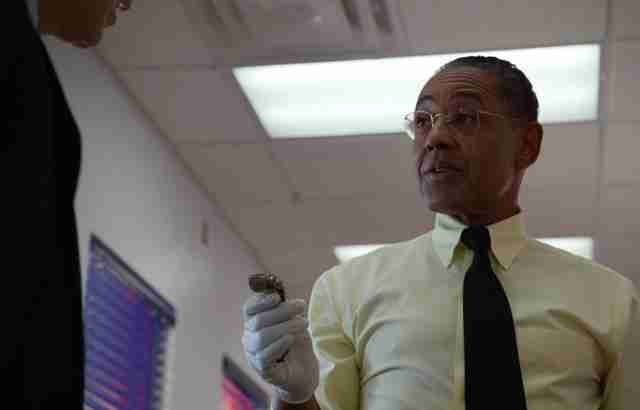 actor Giancarlo Esposito), finally appeared on that show’s prequel, Better Call Saul. His arrival has been heralded, albeit in code, ever since BCS' second season began airing last year: Rearrange the first letters in the titles of all of Season 2's episodes and they spell out "FRING’S BACK." When ex-cop turned up-and-coming gun-for-hire Mike Ehrmantraut was stopped in his attempt to assassinate a rival drug lord during the second season finale, by a note simply reading "DON’T," you could all but hear Fring issuing the command in his sinister purr. Finally, Esposito, co-creators Vince Gilligan and Peter Gould, and their home network, AMC, have made no secret about the character’s debut this year (though they did wait until after last week’s season premiere to drop it). And now that the Chicken Man cometh, toss your reservations in the trash like old wrappers from Los Pollos Hermanos: Breaking Bad and Better Call Saul fans alike have reason to celebrate. Is Gus just a cheap ploy to hook Breaking Bad fans? One episode is early to judge, but so far the answer seems to be no. 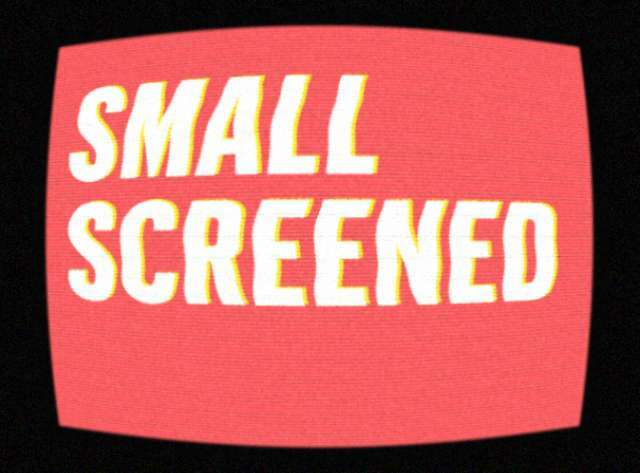 Better Call Saul has already earned a reputation as the standard-bearer for the "slow TV" trend. 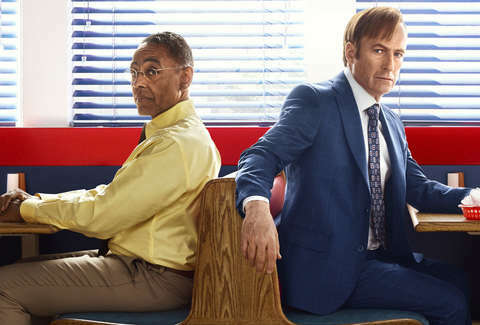 A laconic pacing, painstaking focus on the details of Jimmy McGill (Saul's given name) and hit man Mike Ehrmantrout’s respective trades, and long stretches of quiet in which we simply watch the characters existing all give the series a very different flavor than its antecedent. The meteoric rise and catastrophic fall of Walter White chronicled in Breaking Bad was controlled chaos all the way, as Walt and company raced from one disaster to another. BCS is all of the control with little of the chaos; its signature method of generating heat is the slow burn instead of the explosion. This plays to the strengths of Gus Fring. He may hail from Breaking Bad originally, but Saul’s distinct style will make his return feel like a reboot rather than a rehash. The show brilliantly introduced him as an out-of-focus figure in the background at the Los Pollos Hermanos, whose face we don’t even see until he’s already picked up on Jimmy spy tactics and wordlessly sent away the bagman he and Mike had been tailing. 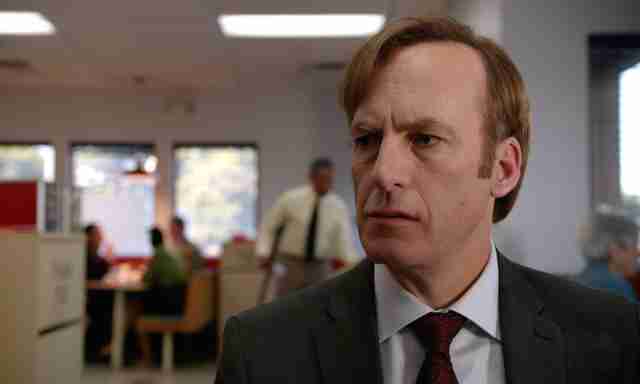 That takes patience of the sort that’s made Saul a great show in its own right. Let’s say you’ve found BCS a bit of a slog, not on any principled objection to prequels or sequels or anything like that, but simply because it’s not delivering the high-octane thrills of its predecessor. Gus’s presence isn’t likely to suddenly convert the show into Breaking Bad’s freight rain robbery or ricin-and-bomb assassination attempts anytime soon, which is no bad thing. But it is likely to restore many of the character dynamics that made the original show so appealing. At this point, "Saul," Mike, Gus, Tuco, and Hector are all floating around, waiting to bump into each other. That should provide Breaking Bad fans plenty of bang for your TV-watching buck. To grab an analogy from a different fleshed-out universe, it's quickly becoming the case that Better Call Saul is to Breaking Bad what Rogue One is to the original Star Wars trilogy. Tonally, it’s not the same thing, and it’s not trying to be. It’s subdued and small-scale instead of boisterous and universe-spanning. The lighstaber-duel-style action set pieces are deliberately absent. Hell, you even know how it’s going to end. But just as seeing old favorites like Darth Vader, Princess Leia, Mon Mothma, and Grand Moff Tarkin in a new and unusual context managed to provide a familiar thrill without feeling like a retread, so does watching friends and foes from Vince Gilligan’s meth masterpiece pop up on BCS. It’s familiar, yes, but the familiarity serves, somewhat counterintuitively, to keep the show fresh and distinct. As it’s done with Saul and Mike before, throwing Gus Fring into the mix will allow us to see him from a whole new angle. And we all know the kind of payoff seeing Gus Fring from a new angle can deliver, don’t we? Ding ding ding ding ding! Sean T. Collins is a writer and critic who's always up for Los Pollos Hermanos. Follow him to where his thought balloons go @theseantcollins.